So exciting right! This is the 2nd Fashion Friday Woozworld is having there is 15 girls items and 15 boys items. 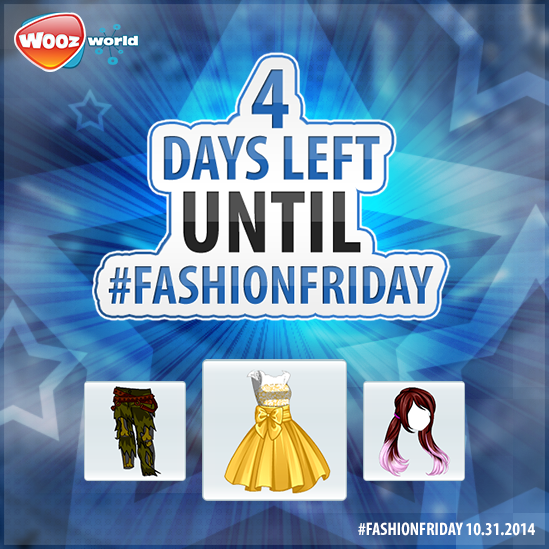 Woozworld's Fashion Friday will include items such as ZOMBIE LEGS , BOW TEA DRESS AND HEART EVA HAIR!! !